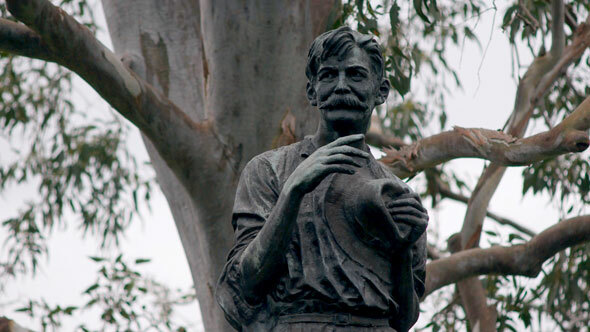 Afterglow has been shooting and now editing three short lively films for The State Library of NSW on early Australian poets, Dorothea Mackellar (“I love a sunburnt country…”), Henry Lawson and CJ Dennis. The films are being presented by Sydney author, Libby Hathorn for NSW students and will showcase items from the state library’s collection including original manuscripts, a lock of Mackellar’s hair, Lawson’s death mask and more. Animations noted Sydney artist, Lew Keilar will add to the vivid re-telling of the poets’ lives and writing.